Update: There's an article about it on theregister as well, click here to read more. 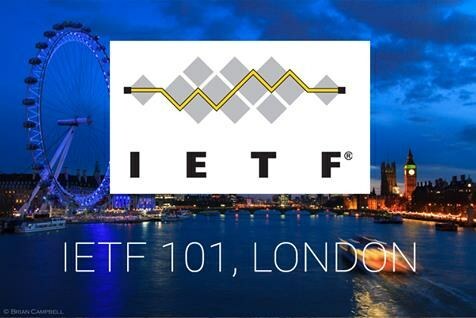 As we had posted it in our events section, this year, we went for the IETF 101 hackathon. As a reminder, last year, we even had The Register which wrote about our participation in the IETF 100 event to deliver TLS 1.3 implementations. We also had the IETF blog which covered that as well. 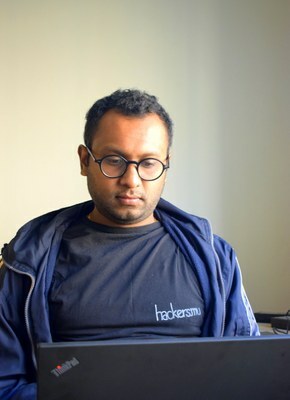 We would have loved to go on site in London to do this but logistically, it would have been difficult, and quite expensive for all our members to go there so preparation to hack from Mauritius began some weeks before the big event. It was quite a rush as we were working on several other projects at the same time. We had to find a spot to get together and to the hackathon in the first place. 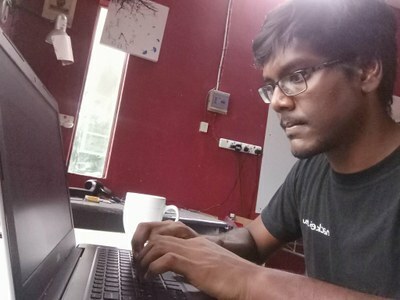 A note about this, if there is anyone who wishes to sponsor a place where we can hack for a weekend once a while (when and if we have a hackathon planned), please do drop us a mail using the contact page. After all the planning for a space to hack, preparing the funds and logistics for it all, one week before DDay, the meteo announced that there could be a potential cyclone lurking around. Hence we decided to Perform the hackathon remotely, from each other's house. For this, the challenge becomes harder, as now, we obviously had communication issues to cope for as well as how to manage everything. But eventually, we sorted it out pretty well! We had Jabber as well other tools that we are used to for managing our hackathons. Being the TLS champions for the first time, we were really worried whether we will be able to lead this hackathon properly, last year, we had others to follow and it was less stressful. But this year, it was up to us to organize our own team and project, so we had some pressure, which is probably why we spent some weeks before hand to just plan and manage. Since OpenSSL pre release candidates were coming out with TLS 1.3 support, we had to work towards adding support for TLS 1.3 in as much software as we could. Lvv was interested in DNS security, hence worked on the DNS PRIVate Exchange (DPRIVE) Working Group develops mechanisms to provide confidentiality to DNS transactions, to address concerns surrounding pervasive monitoring. While those who wanted to work on http 451 focused on that. git, is a free and open source distributed version control system designed to handle everything from small to very large projects with speed and efficiency. It seems that I am not the only one who feels that this hackathon was really addictive. we were hooked the moment we started working out on our tasks. Furthermore, everybody was contributing to almost every aspect of each other's tasks. The team was on fire, we were working like a well oiled engine, everyone knew what they needed to do, and everyone were helping out each other. At some point we even had to to tell people to get some sleep for the next day, yes that kind of fun! The next day, after wrapping up the maximum tasks that we could, some members gathered at the flying dodo for some food, beer (well except our members who do not consume alcohol) and to get a group picture taken. Others who couldn't make it sent a picture of themselves hacking! Logan did the presentation remotely. We were queued last in line, since we were remote. There was a few audio issues in the beginning, but once all that was fixed, all was good. :) Special thanks for the ietf folks for their patience with that! Here is a video of our presentation at the event. If you go from the beginning of the video, you can view all the other presentation as well, and all of them were really interesting projects. While we did have some experience with draft 13 of TLS 1.3, we had quite some challenges this year. We had to keep up with the projects we were working on with and cope for new changes. As well as take into considerations the new changes related to draft 23 of TLS 1.3. Testing was much more fine grained this time, and luckily we had WireShark around to catch any handshake issues, specially with that clienthello that caused some pain! But once we got the gist, it was all good. Well there are quite some project out there without TLS 1.3 support, and we hope to work on these during the course of the year. There are other events that are coming along as well. Keep posted on our facebook group, page and the event corner of this website! Want to join us for our next IETF hackathon event, drop us a mail either through our contact form or directly to contact (a|t) hackers mu. It would be great if we could get more people to participate in IETF events, this is for the good of the internet and everyone else. If you want more detailed information about each tasks, please check out the blog of each of our members, you can access their blogs via our member page. Our presentation can be found here and mirrored here. Apologies if we missed anyone here, please do ping us if we missed anyone. We go regular tech talks or invite you to do so on Saturdays at the University of Mauritius, please join our facebook group or our meetup or event page to get more information. If you wish to join us for some hacking, drop us a mail via the contact form! and yes... Thank YOU for reading and showing interests! ps. This article will be updated with more information soon. Do report us any bug in this article!